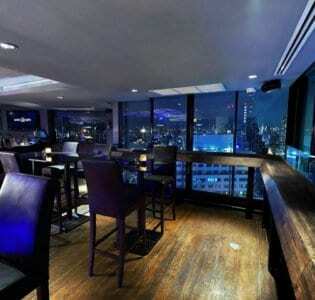 As the name suggests, this huge club attracts a hard-partying crowd who really want to let loose. As the name suggests, this huge club attracts a hard-partying crowd who really want to let loose. Housed in a hangar-like room, it’s one of the city’s largest clubs and is also licensed to stay open well past the 2am closing time that most other bars and clubs have to stick to, making it the after-party venue of choice. Big name DJs from around the world are a regular fixture, playing EDM, house and hip hop from the raised DJ station. A state-of-the-art sound and lighting system, along with podium dancers and shot girls, ensure that everyone’s soon in the mood to hit the dance floor.It starts really filling up from around 11pm onwards, so get here early to bag a table. Or better yet, reserve a raised VIP booth for a birds-eye view of the insanity unfolding below. Drinks promotions are on offer during the extended happy hour, which runs from 10pm to 1am, Sunday to Thursday, and if you eat at the V8 American diner attached to Insanity you’ll get free entry into the club. The place is usually packed with stunning girls vying for the men’s attention, but be warned – they may expect payment if they go home with you at the end of the night.